Stockings are by far one of my favourite Christmas traditions. I loved leaving out cookies, milk, carrots for the reindeer & a note for Santa. We'd wake up in the morning race out to the tree to see the crumbs left on the plate, a note from Santa and our stockings full. I am so,so,so excited to start this with our daughter Emery. I had so much fun, I mean Santa had so much fun picking out stocking stuffers for our little lady. There is something so special about vintage toys, they have such a fun quality to them. I found this doll plus two others at Value Village of all places for less then $2! You can tell a sweet Mom or Grandma knit their little outfits. Such a treat to find them. I know Emery is going to be so excited about these knit finger puppets from BlaBla Dolls. She has such a great imagination and I know she will get hours of fun out them. If you live in the States you have till the 21st to order to get BlaBla goodies by Christmas. If you live in the #YEG area Max & Maude in Sherwood Park carries BlaBla Dolls, as well as West Coast Kids. 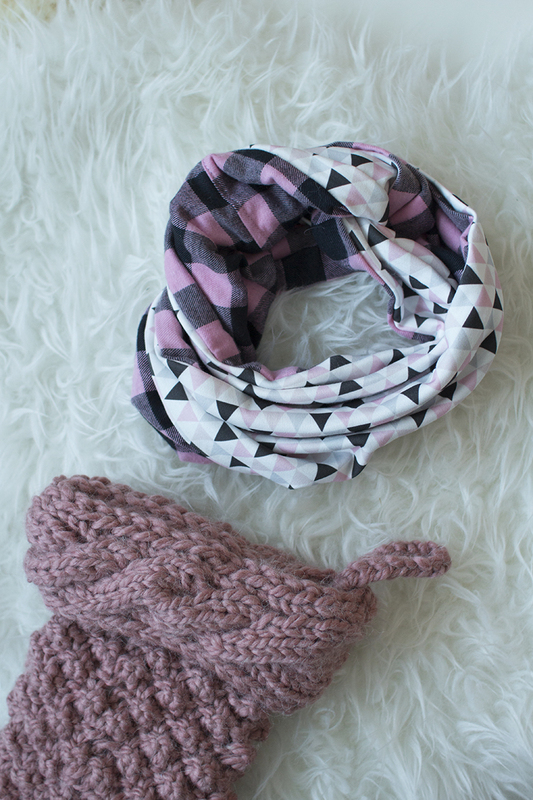 I cannot wait for Emery to be wearing this scarf from Posh & Cozy, a local Alberta kids apparel brand. I love that it's reversible, and is made with such fun prints. 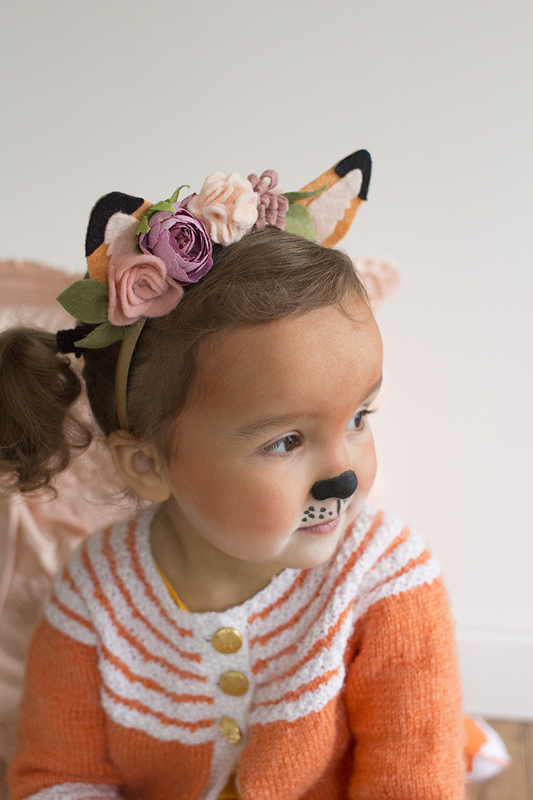 They have such an amazing assortment of apparel, including stuff for the Mama's too! 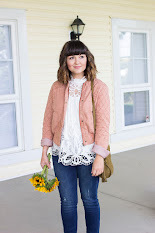 It's ran by two sisters who share their love of fashion & kids, and it totally shows! I definitely have my eye on a few items, especially for our new babe on the way. I couldn't resist a few ultra girlie items for her stocking. 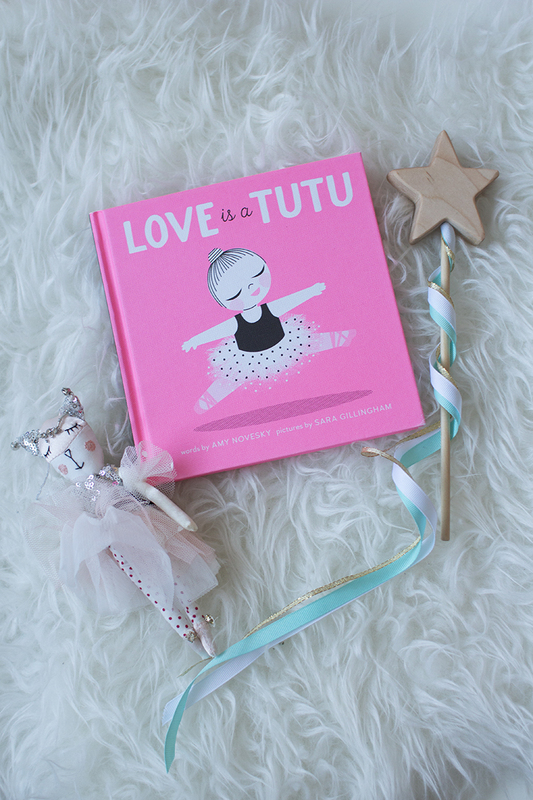 I thought the Ballerina ornament and Tutu book went perfectly together. Emery has her own little mini tree with fun little animal ornaments on it, and this will be a perfect addition. P.s- Having her own little tree keeps her little hands off the big tree. Can we talk about this star wand from Trae Designs for a moment? It is so magical! I want one for myself! Emery is going to have so much fun playing dress up with it! 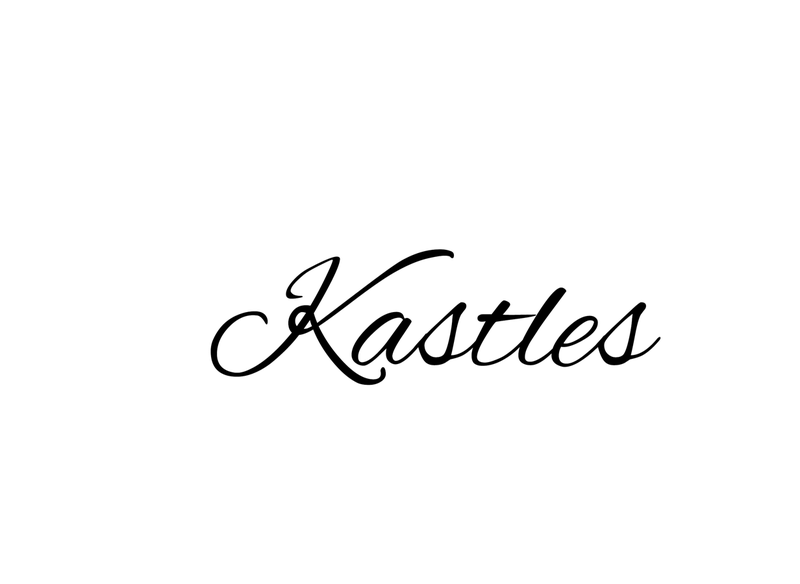 Trae Designs is based out British Columbia and they make the most beautiful wood decor and toys. Their Maple Wood Building Blocks are so beautiful as well! Knowing my daughter she is going to be up early Christmas morning, so it's a no brainer to have some easy & healthy snacks tucked away in her stocking. 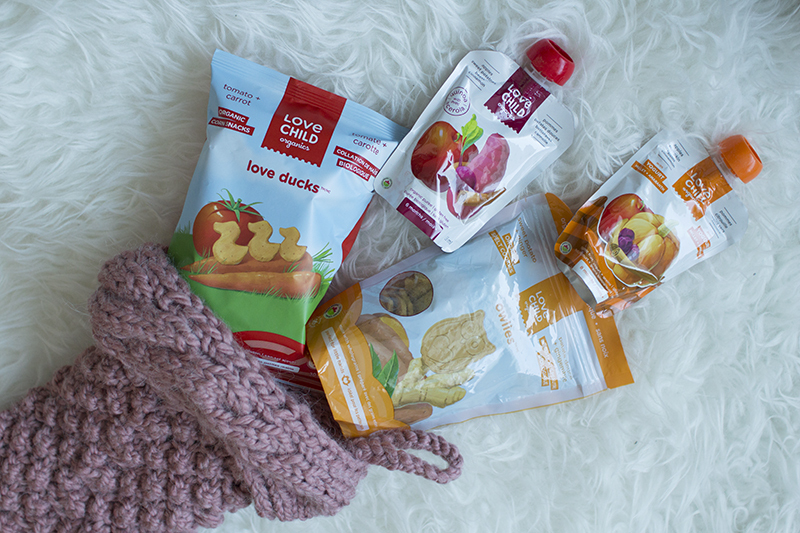 Love Child Organics snacks are a staple in our household, and E is obsessed with what she calls "Squishy Packs". She's going to be so thrilled to find them in her stocking. P.s-Keep your eyes on my Instagram for a giveaway with Love Child Organics this week. 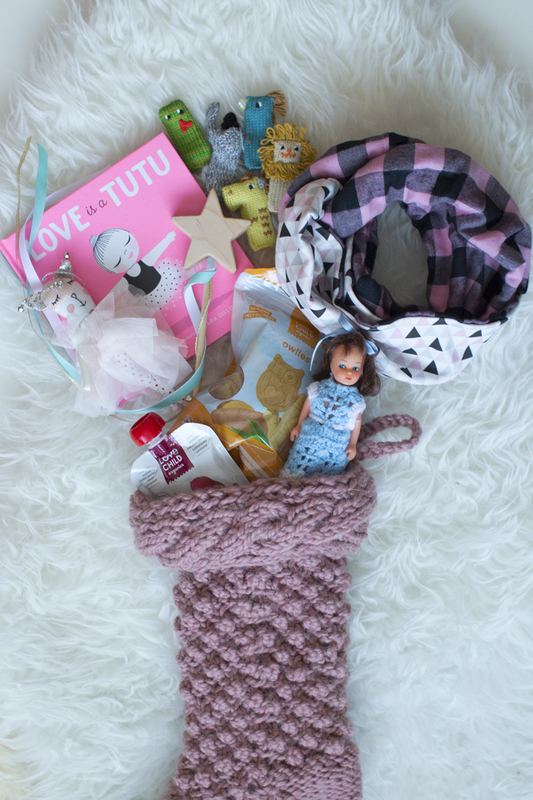 What are you putting in your little ones stockings? I'd love to hear some more fun ideas!